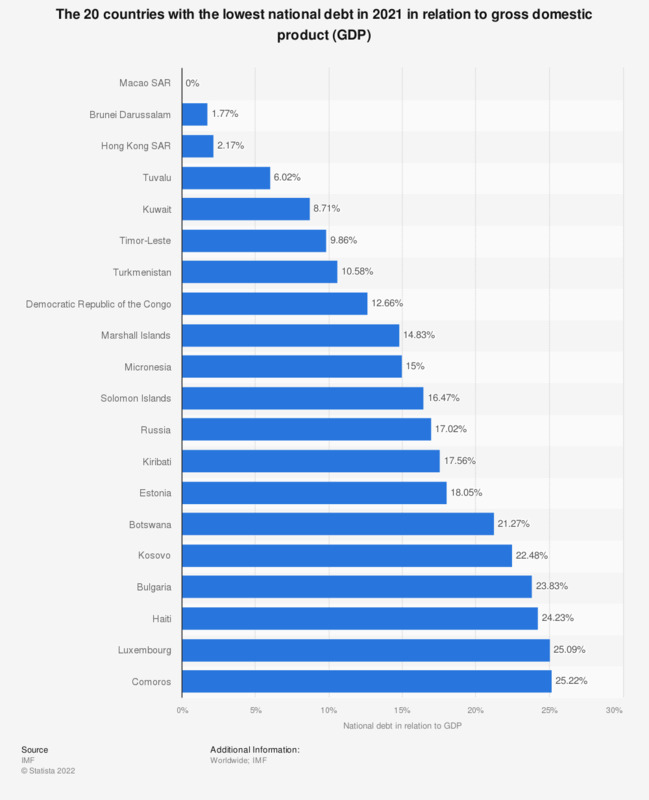 The statistic shows the 20 countries with the lowest national debt in 2017 in relation to the gross domestic product (GDP). The data refer to the debts of the entire state, including the central government, the provinces, municipalities, local authorities and social insurance. In 2017, Russia's estimated level of national debt reached about 15.53 percent of the GDP, ranking 9th of the countries with the lowest national debt.